LinqConnect Express is a free fast and easy to use ORM solution, developed closely to the Microsoft LINQ to SQL technology, and supporting SQL Server, Oracle, MySQL, PostgreSQL, and SQLite. 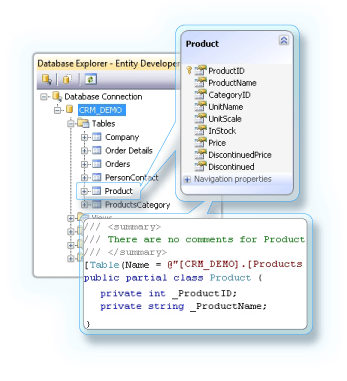 It provides a powerful model designer tool with complete integration to Visual Studio - Entity Developer. This free package does not allow customization of code templates and is limited to 10 entities in the project.